Courtesy of Real Select International. Beachfront residential condo in Ko’Olina resort. Unit features specious living area and lanais with pocket sliding doors. Gourmet kitchen with natural stone counter tops, Sub-Zero/ Wolf appliances. The owner never rented, just uses a few months a year as a vacation home. 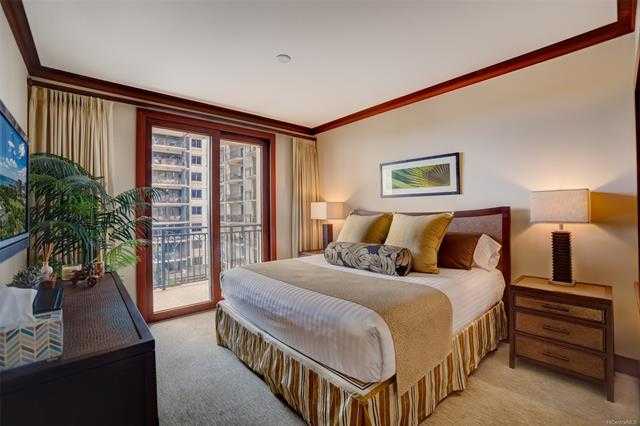 This fully furnished condo is an ideal vacation home. Please, send me more information on this property: MLS# 201824260 – $1,340,000 – 92-104 Waialii Place Unit O-523, Kapolei, HI 96707. I would like to schedule a showing appointment for this property: MLS# 201824260 – $1,340,000 – 92-104 Waialii Place Unit O-523, Kapolei, HI 96707.